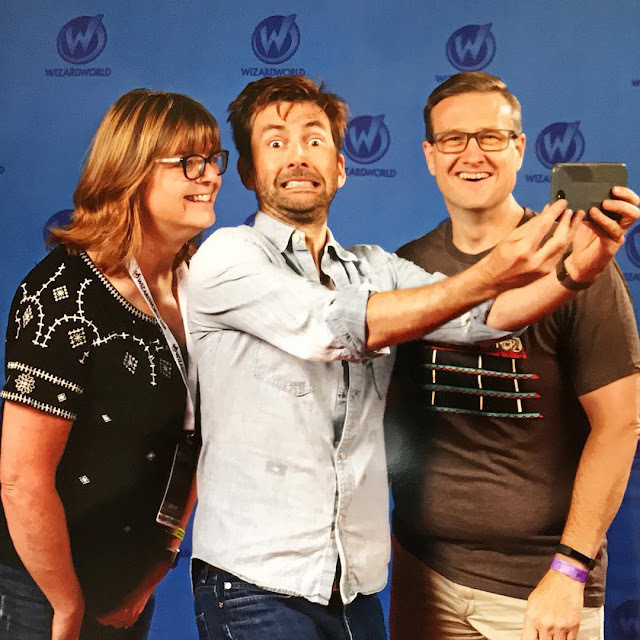 David Tennant, Catherine Tate and John Barrowman attended Wizard World Columbus Fan Convention 2017 on Saturday 5th August. Wizard World Columbus was held from Friday 4th to Sunday 6th August at Greater Columbus Convention Center, 500 North High Street, Columbus, OH 43215. David Tennant only attended Columbus on Saturday 5th August. David Tennant VIP tickets for entry to the fan convention cost $399. The benefits included a photo, autograph and front seating at his panel. Link to posts related to David Tennant at Wizard World Columbus fan convention on Blogger.com (usually with more details). 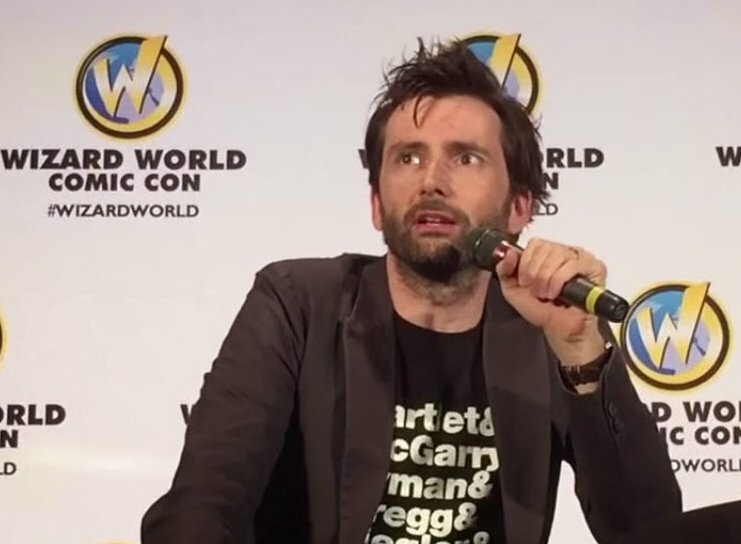 Round-up and video of all of David Tennant's 45 minute panel at Wizard World Columbus today. Catherine Tate to also appear at Wizard World Columbus fan convention. The website does not make it clear yet whether there will be photo ops for David with Catherine but currently they are not on sale so it looks unlikely. The website also lists solo panels so it seems there will not be a joint Question And Answer panel. John Barrowman to join David Tennant at Wizard World Columbus fan convention in August. Two more US fan conventions have been added for David Tennant.